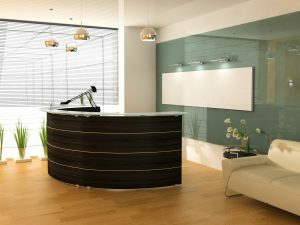 When searching for commercial furniture companies you can trust to help furnish your Sandy Springs, Georgia, office space, consider hiring the professionals at NorthPoint Office Furniture. Since 1994, we have been assisting countless customers from all over the Metro Atlanta area with furnishing their homes and commercial office spaces with high-quality furniture options that satisfy virtually any budget. Great selection – In our 8,000-square-foot showroom, you’ll find a wide variety of premium new and used furniture options that have been staged to allow you to easily envision how they will look in your space. Experienced staff – Our staff has years of experience and is very knowledgeable about the products we offer. We’ll be able to educate you on the various options available and offer recommendations based on your needs. Personalized service – We try to make our customers’ experience with us as pleasant as possible. We’ll take the time to learn what your needs and wants are so we can help you find an ideal solution. What’s more, we even offer suggestions on how best to arrange your furniture for maximum comfort and efficiency. For more information about what sets us apart from other commercial furniture companies, contact NorthPoint Office Furniture today. We proudly serve Sandy Springs, GA, and all surrounding areas.